I was out and about one day and came across this wonderfully dilapidated old two-seater bike. I tried getting a full shot of it from several angles, but just couldn't make it work. So, I opted to focus in on the coolest part which I thought was this section of it. 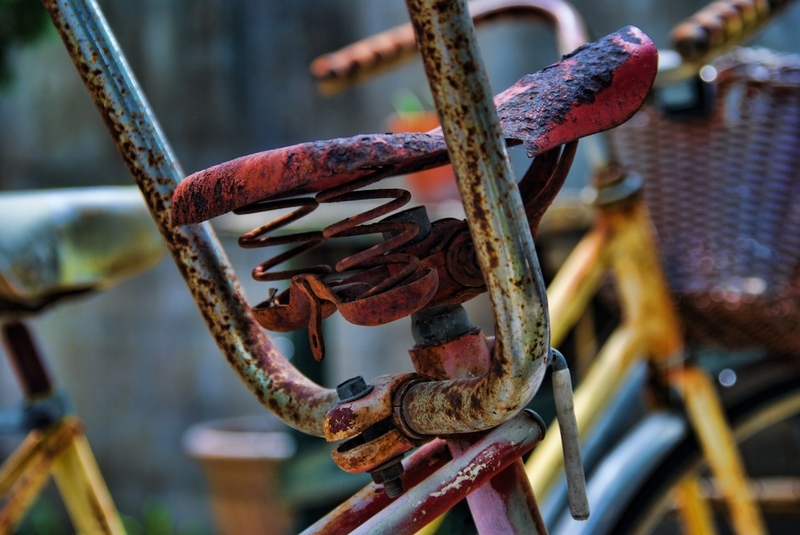 Old rusty stuff is fun to shoot and I find it immensely interesting.